The Best Philippines Business Blogs from thousands of Business and Corporate sites by Filipinos using search and social metrics. Subscribe to these websites because they are actively working to educate, inspire, and empower their readers with frequent updates and high-quality information. Philippines Business newsletter is a comprehensive summary of the day's most important blog posts and news articles from the best Philippines Business websites on the web, and delivered to your email inbox each morning. To subscribe, simply provide us with your email address. Manila, Philippines About Blog Entrepreneur Philippines is the extensive resource for both aspiring, existing entrepreneurs and the entrepreneur in you. Find latest news, events, startup tips, business ideas and much more on this site. Facebook fans 801,535. Twitter followers 14,902. Philippines About Blog Business Tips Philippines, an online entrepreneurship, management & marketing guide for Filipinos, business owners, leaders & entrepreneurs around the world. Facebook fans 15,489. Twitter followers 544. Manila About Blog Mommy Ginger is a blog, owned by Ginger Arboleda, a mom and an entrepreneur. She writes about business, marketing, start-ups and mommyhood. For anyone who want to learn how to manage time, how to learn about business by reading or viewing experiences from others, this is the blog to follow! Facebook fans 12,405. Twitter followers 1,647. Philippines About Blog BusinessWorld, the country’s leading business newspaper represents five decades of professional economic journalism.Get the latest news, analyses and opinions on Philippine business and more from the country's first and leading business media organization. Facebook fans 66,549. Twitter followers 31,576. About Blog Negosentro is an advocacy blog site for Asians around the world to be well- educated about trends and events in entrepreneurship. NegoSentro advocates support for small businesses, start-ups and technopreneurs via creating opportunities and sharing of ideas. Facebook fans 39,186. Twitter followers 91. Philippines About Blog Tycoon Philippines delivers the most actionable tips, strategies & inspirations on startup, marketing, business, entrepreneurship, freelancing and making money. Facebook fans 15,745. Twitter followers 197. Facebook fans 824. Twitter followers 348. About Blog Cyberpreneur Philippines is your guide in launching an online business and growing it to profit. It offers invaluable tips whether you're providing services, developing apps, or reselling products online. Tips straight from company CEOs, startup founders, and top freelancers. Facebook fans 1,921. Twitter followers 86. Philippines About Blog Decision-Making, Analytics & Intelligence > Philippines is what I am all about.My passion is solving problems by bringing together the best talent, cutting edge technology and tried and true methodologies. Empowering people towards better decision-making through the use analytics and business intelligence is what I do best. Facebook fans 6,510. Twitter followers 5. SMX Convention Center Manila About Blog Philippine SME Business Expo is the premier business expo dedicated to empower the SMEs and growing Entrepreneurs. Facebook fans 28,184. Twitter followers 950. About Blog iFranchise Philippines features franchise and small business news and opportunities, as well as inspiring money articles so every Juan can get rich in no time! Facebook fans 3,712. Twitter followers 56. 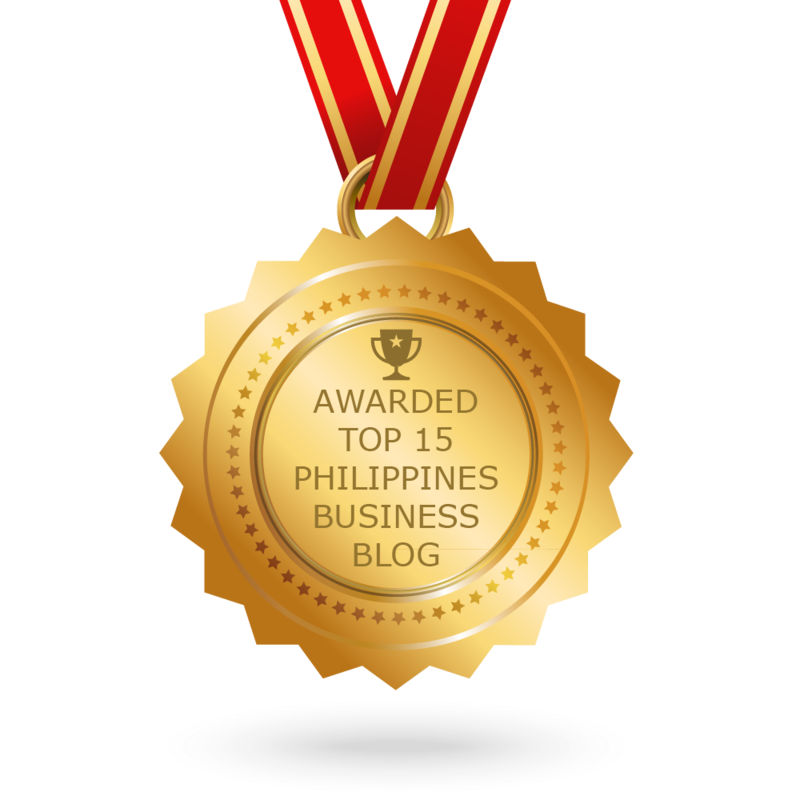 CONGRATULATIONS to every blogger that has made this Top Philippines Business Blogs list! This is the most comprehensive list of best Philippines Business blogs on the internet and I’m honoured to have you as part of this! I personally give you a high-five and want to thank you for your contribution to this world.